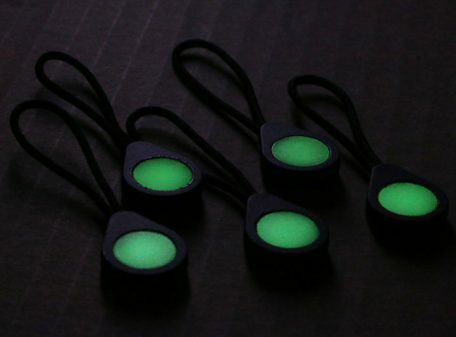 The brightest glow-in-the dark zipper pulls available. 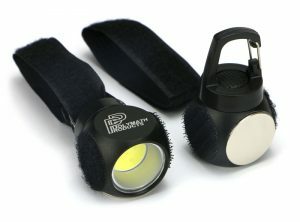 Readily charges in both daylight and artificial light, providing a visible glow for 12+ hours in darkness, night after night. 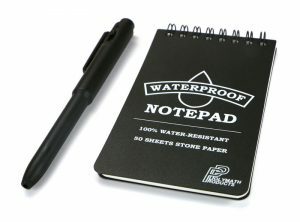 Small and unobtrusive with a highly durable TPU housing and cord, they are suitable for hard-wearing daily use. 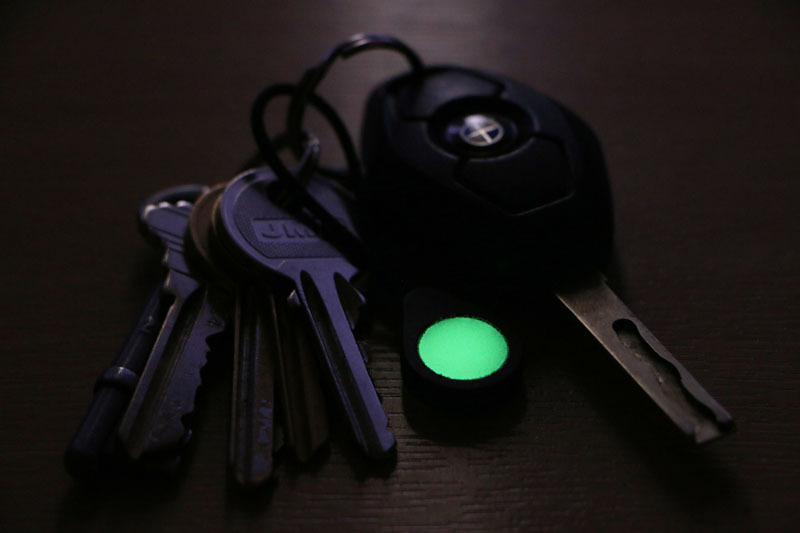 No batteries needed, with a useful lifespan of up to 20 years! 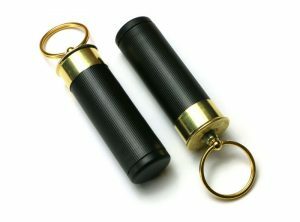 Tactile extension for zips, for easy zipping even when wearing bulky gloves. 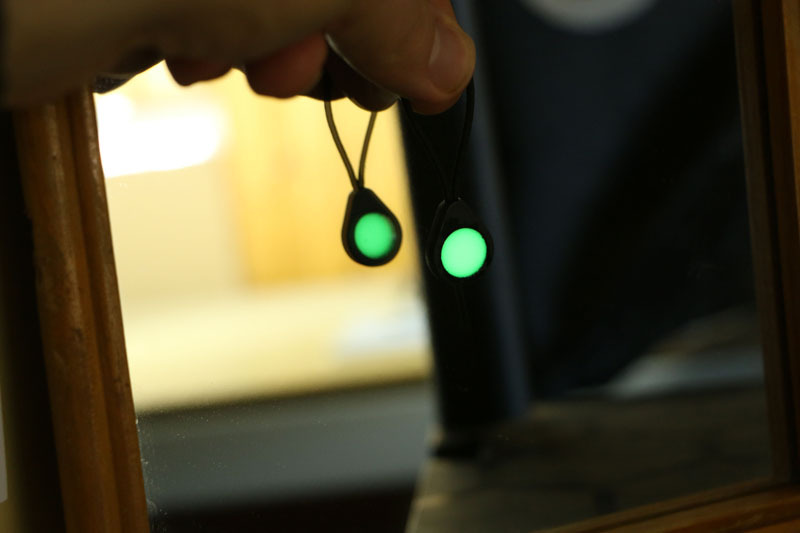 Double-sided glow element charges and emits light both front and back. 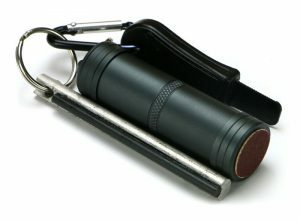 Easy to attach to your clothing and gear, and come supplied in packs of five or ten for multiple applications. 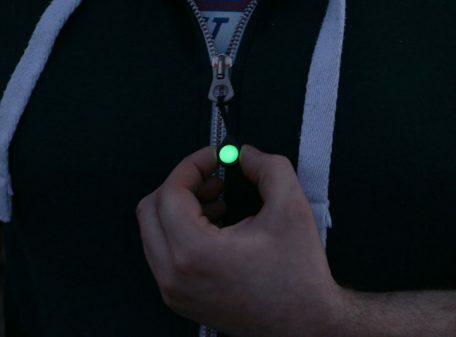 The Glo Zip is an ultra-bright glow-in-the-dark zipper pull, which serves as a practical and no-fuss way of kit marking your coats, jackets, rucksacks, tent zippers or gear that may be dropped or placed down in the dark. 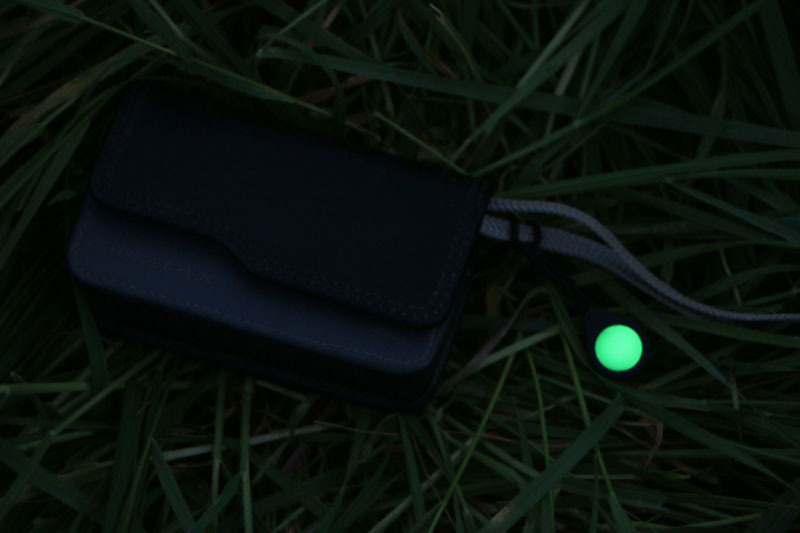 It uses the latest in photoluminescent technology, which produces a potent glow after ‘charging’ by daylight, or any flashlight / light source. 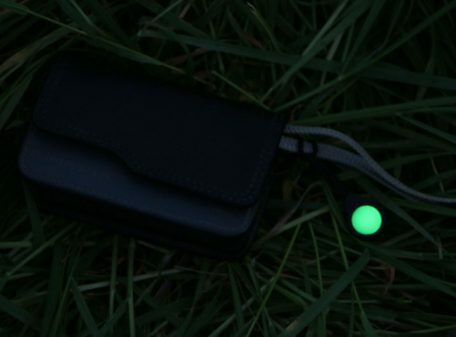 The long-lasting afterglow keeps your kit visible long into the night, which can be particularly useful for avoiding tripping over your rucksack or tent in the dark, or locating gear that has been dropped. 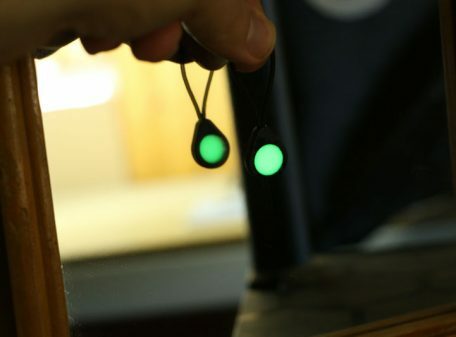 They are easy to attach to your kit with the incorporated cord loop; simply pass the loop through the zipper hole, then pass the Glo Zip through the loop, and it’s done. 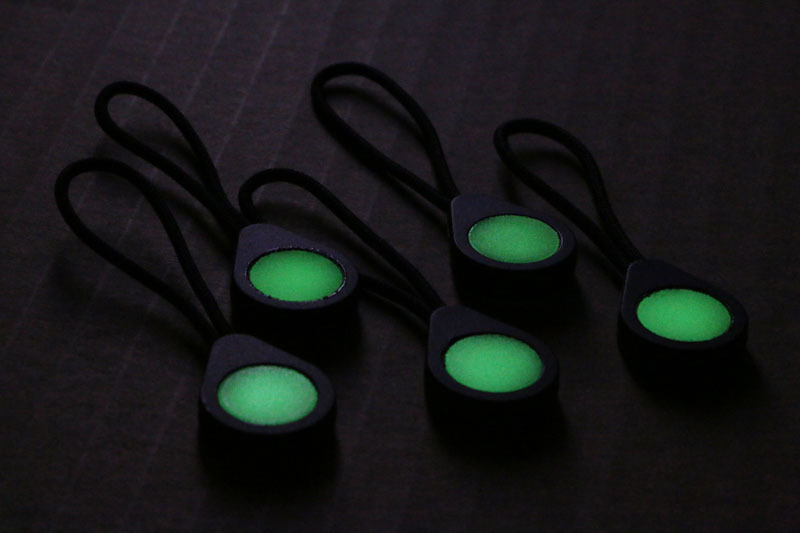 Most competitor GITD zipper pulls use moulded plastic parts or cord that can only be produced containing a small percentage of GITD pigment. 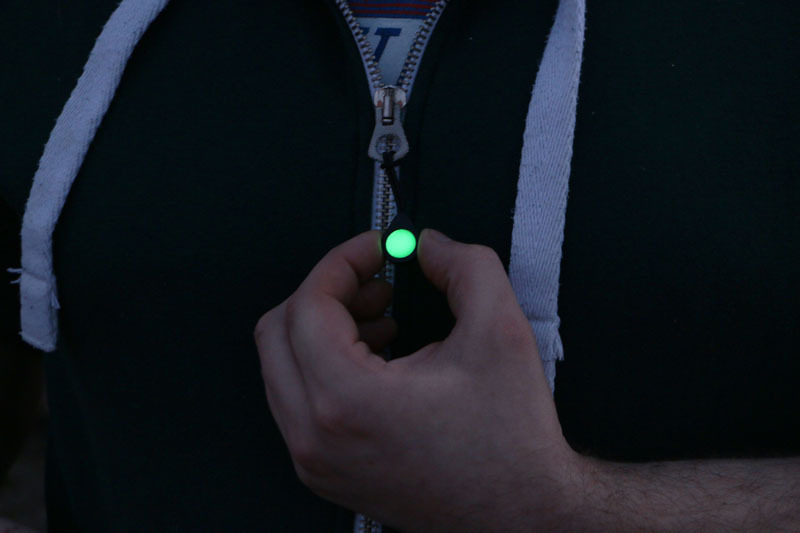 This produces a weak glow that will fade quickly and be barely visible after half an hour or so of darkness. 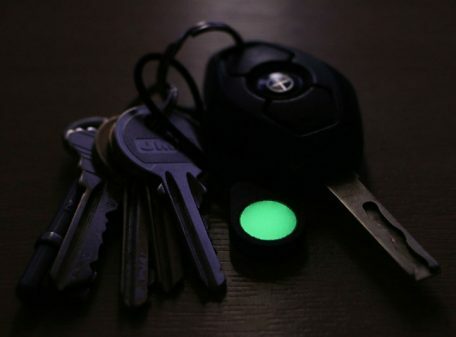 The GITD cores of our zipper pulls use the highest grade, bright green 150µm strontium aluminate in high concentration with a binder, producing the longest possible afterglow times. 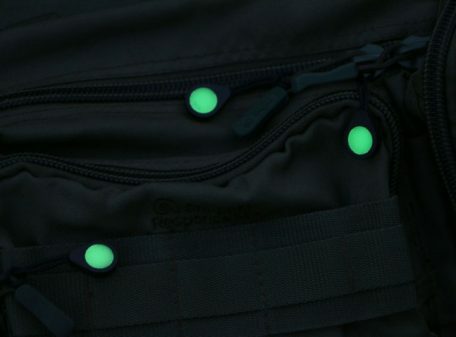 Both sides of the zipper pull glow, meaning it can be easily spotted whichever side is facing up. 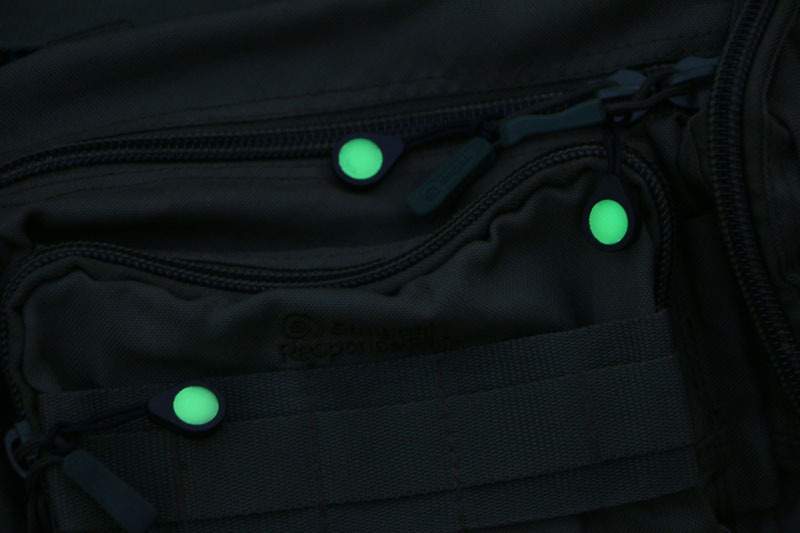 Glo Zips are machine-washable, so no need to remove them from clothing when putting through the wash. The Glo Zip is supplied as standard in packs of five or a value pack of ten. 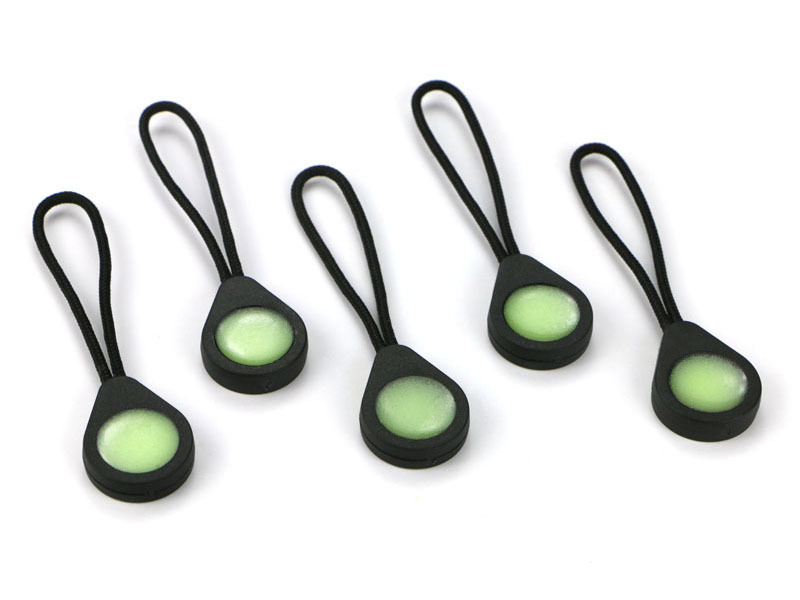 Glo Zip dimensions: 21.88mm length x 17.03mm width x 4.90mm thickness. Cord loop length: 46mm. Weight 2.05g. Glo Zip dimensions: 21.88mm length x 17.03mm width x 4.90mm thickness. Cord loop length: 46mm. Weight 2.05g.